1 1. How many decks are in play? 2 2. Does the dealer hit on a soft 17? 3 3. Can I surrender? Blackjack is a great casino card game, and online casinos like Bet365 offer many variants of the world’s most popular table game. Online blackjack is great fun for recreational and serious gamblers alike, but because of the variety in games, it’s worth knowing what kind of game to sit down and play. Here’s what you should be asking before you ante up. 1. How many decks are in play? Typically, blackjack uses six to eight standard 52-card decks in a shoe. You may have heard this before, but you actually have a higher chance of being dealt a natural 21 (blackjack) when fewer decks are in play. It sounds counter-intuitive, because whether you use one, six or twenty decks, there are still an equally-proportioned number of faces and aces. However, a quick bit of mathematics proves that the fewer decks, the better. What are the odds that you get dealt an ace and a ten from a standard 52-card deck? The maths is easy; we need to multiply the probability of being dealt an ace by the probability of drawing a ten-value card. The second part is the key difference, because the number of cards in the divisor has been reduced to 51 to account for the ace that’s already been dealt. The result, doubled to account for being dealt a ten first, gives us a 4.83% chance of blackjack. 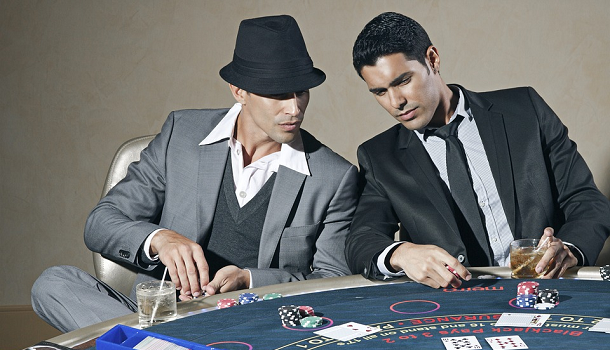 The chances of being dealt blackjack with two decks drops to 4.78%. The same thing goes for doubling down: the fewer decks there are, the higher the chances of you drawing a 10 when you double on 11. 2. Does the dealer hit on a soft 17? First, let’s make sure we know what a soft and hard 17 are. A hard 17 refers to a hand that is nothing but 17, for example 9-8 or 5-2-K. On the other hand, a soft 17 is made using an ace, like A-6 or A-3-3; these can be either 17 or 7. Some casinos require dealers to stand when their hand is a soft 17, while others have them draw to hard 17s and hit on soft 17s. What does this do to your odds? Well, when the dealer hits on a soft 17, it means they will go bust more often. Naturally, this is pretty good for you as a player! There are some small basic strategy adjustments you should make, but in general a soft 17 game will be more profitable for a savvy player. In some blackjack games, you will have the option to surrender, and these are great games to play in. If you can sit down at a game where surrendering is allowed, we thoroughly recommend it! In blackjack, to surrender means you give up on the hand in exchange for half your bet. Intuitively it doesn’t seem like a great idea, because you’re losing half your bet and have zero chance to win. However, it can sometimes be your best option: having a 0% chance to win half your bet is much better than only having a 10% chance to win a full bet. There are some situations, such as being dealt a 12 against a dealer’s face card, where surrendering will lose you less money in the long run.